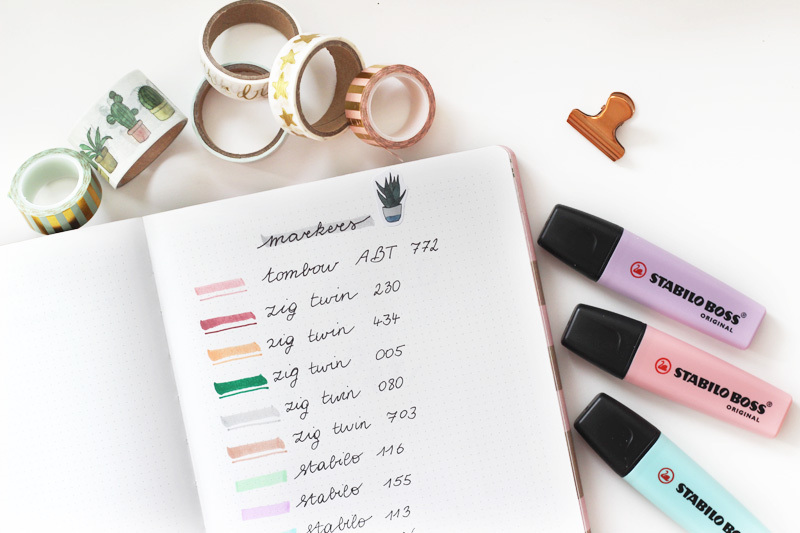 Not too long ago I wrote about my very first bullet journal.If you haven't read that post yet, check it out here. I used a Moleskine notebook I had laying around and gave it a try, with lots of trial and error. After about half a year of using that one, I decided that I wanted to get a bigger and better notebook. My Moleskine notebook was lined while most bullet journals are dotted, which makes it much easier to design grids and other handy layouts. I also found the size of my Moleskine to be a little too small, but I didn't want to commit to a full size A4 journal either. After some research I discovered my new notebook: a large dotted Nuuna notebook. And with a new bullet journal, come new layouts and techniques..
My new Nuuna journal has a flexible cover made from jeans material, printed with a matte pink and metallic gold star design. The design also runs across edges of the white paper, which is super pretty. The paper is of gorgeous quality: it is a very soft white paper, heavy enough at 120g, with grey dots. The binding has been done with thread stitching, which makes it easy to lay flat to work in. It is slightly bigger than my old Moleskine, mostly by width. This makes it so much easier to draw out certain schedules! I ordered my Nuuna notebook on Amazon (the German webshop since it's a German brand), but there are webshops across the world selling them so I'd Google around to find a good option in your neighbourhood. My new layouts are now a bit more deliberately thought out, using washi and stickers to decorate. I spend a little less time drawing myself now, although I still love putting in extra effort each month for my monthly title pages. By now I have a huge collection of washi tape that is waiting to be used - I can't stop myself from buying new ones! In this new journal I have also chosen to leave out the yearly overviews. I found I didn't use my future log enough, and I also didn't use my blog planner enough as I just wasn't planning any content. 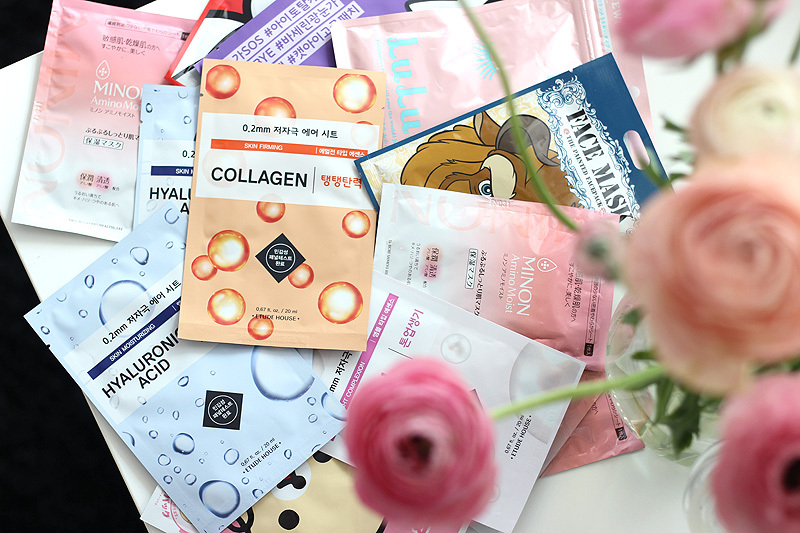 Blogging will always continue to be a hobby I really want to enjoy, so I'm no longer interested in having a big planned schedule for my content and just blog whenever I actually feel like it. I am looking into incorporating more monthly segments though, such as a system to keep up with which plants I have watered when (I seriously need to figure this one out as I have too many plants to keep up with!) and other goals. I'll also be making a budget overview for my upcoming trip to Japan, to keep track of what we've already spent and what we're still be needing to purchase such as our Japan Rain Pass, etc. 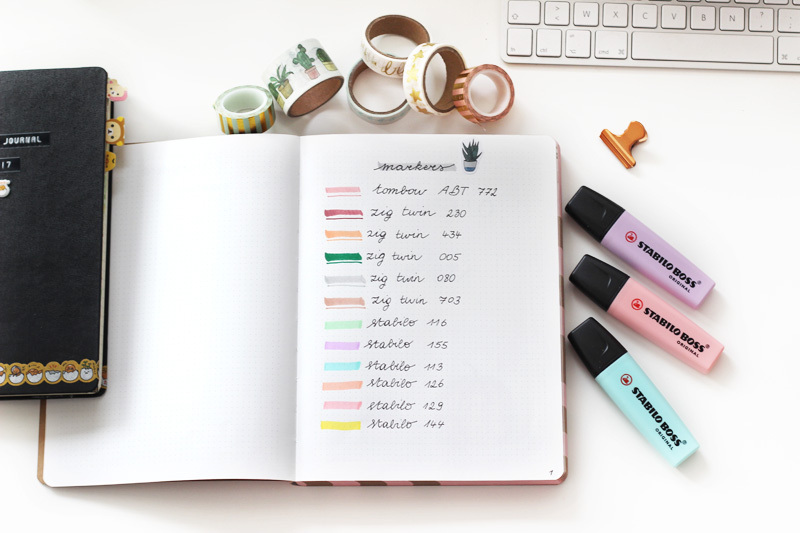 I can be quite a chaotic person, but putting these kinds of things into lists really puts my mind at ease and makes planning a lot less stressful. Before I used lists I would often feel like I have a million "tabs" open in my mind, just like an internet browser. Writing down all these tasks that otherwise just float around "on the background" in my mind gives me more peace of mind, as I'm sure I won't just forget about them. I hope that comparison makes any sense at all.. I'm also going to try and plan my meals a little better going forward. I have been eating 90% vegetarian for about a year now, and would like to measure when I have "regular" meals, vegetarian meals and vegan meals. I'd also like to write down low fodmap, veggie & vegan recipes that I've really liked at the end of each month, so I have easier access to dinner ideas when I'm in a rush or feeling uninspired. Food planning can be a real hassle as it is, but when you're following a certain diet it can be even harder! 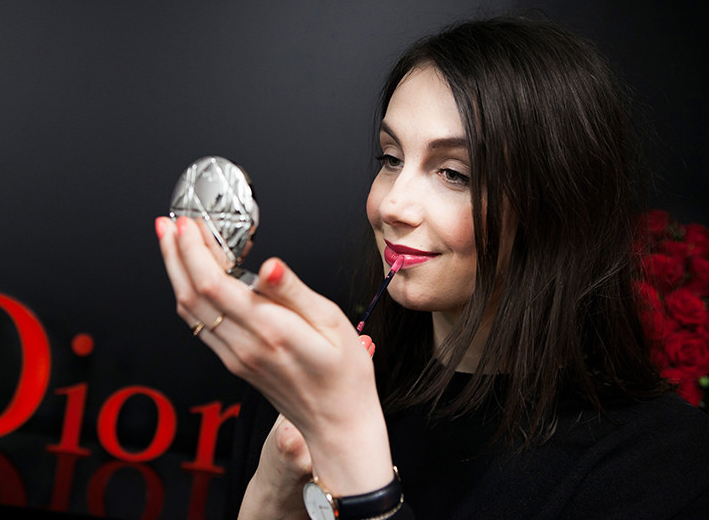 On this specific topic I was recently contacted by a friend of mine who works for Carrefour. She knows I'm into bullet journaling and told me about this promotion their grocery pick-up service Carrefour Drive is doing the weeks leading up to Christmas. 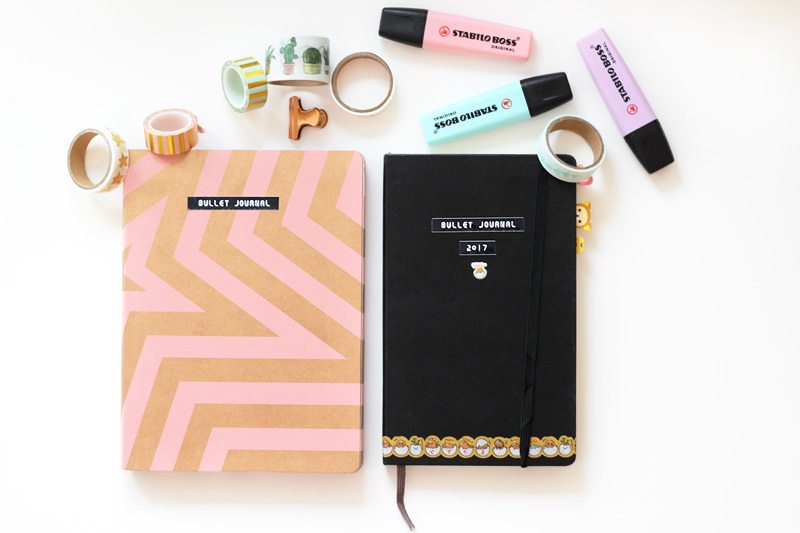 They collaborated with blogger Kelly Deriemaeker - who also wrote a book about bullet journaling - and worked together on a mini bullet journal and a series of tips to plan for the new year. The bullet journal was already distributed to clients (but you can still order one through their customer service on 0800 9 10 11) and for the following 8 weeks up until December 16th all Drive customers will be receiving one new tip card with their groceries. 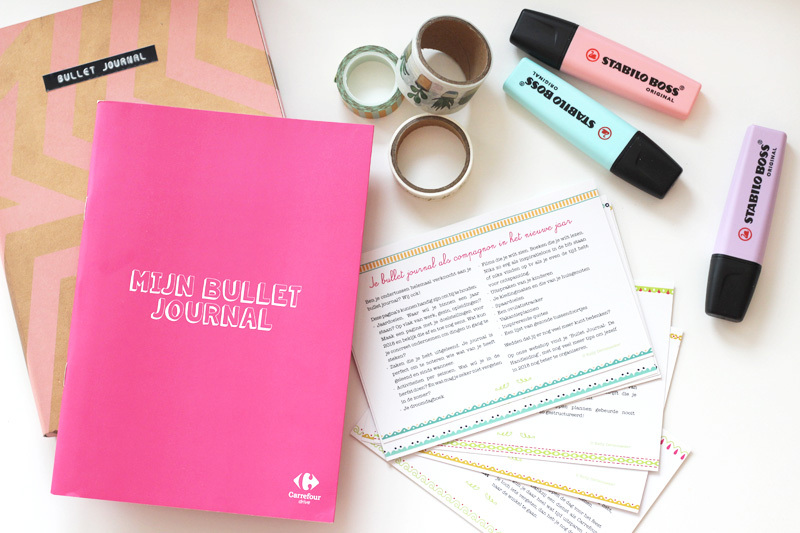 I collab'ed with Carrefour and already got a sneak preview of the tips and my own copy of the bullet journal, so I could tell you about it in time. 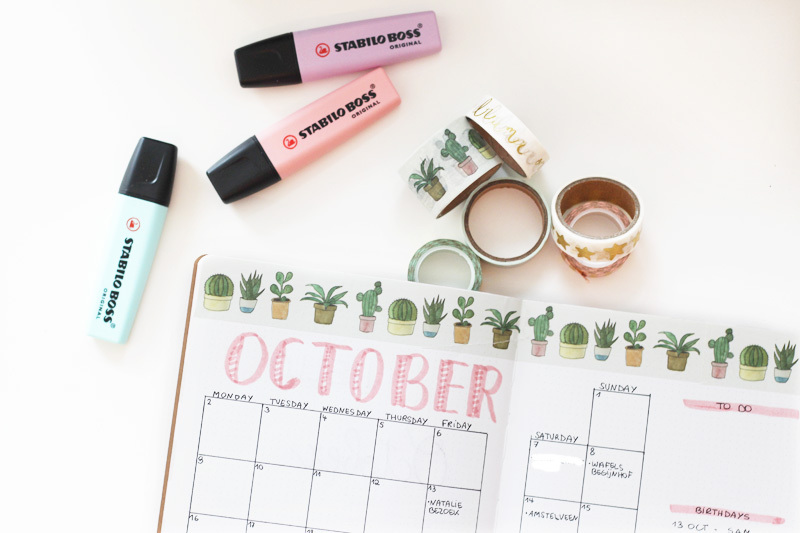 I really like the little pink bullet journal - it's definitely not a full sized bullet journal you can set up for long use, but it offers a bunch of handy tips and some templates for trackers and weekly planners. 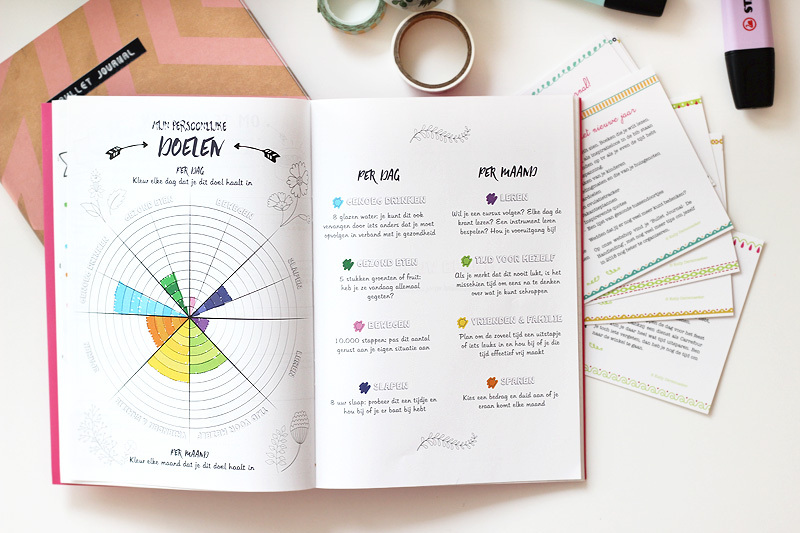 I usually follow Instagram & YouTube planner accounts to learn about new templates, but this little book has a few templates ready to be consulted when drawing out your notebook. The extra weekly tips mostly focus on party and meal planning for the Christmas holidays, but you can also use some of the tips for daily use. Since they're free to obtain with your groceries, I wouldn't hesitate to collect them if you like shopping with Carrefour. I'll soon (hopefully - I know I sometimes go a little MIA) be following up on this blogpost with more planning inspiration. 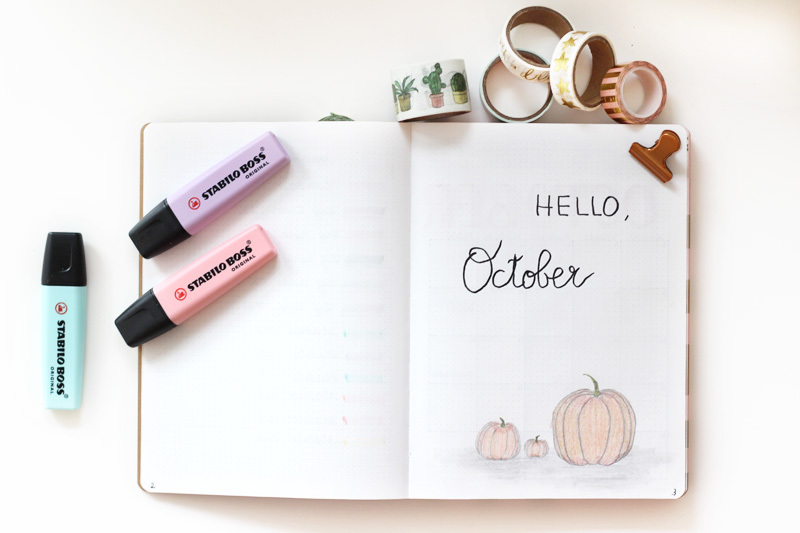 I hope to add all the new monthly segments I'm missing in my bullet journal right now in my November pages, and I'd love to share them with you so you can perhaps use them too! And in the meanwhile, let's see whether I can find a good way to plan watering all these plants here..